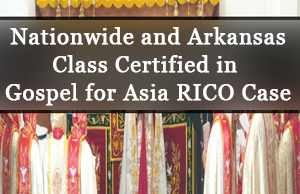 For over 30 years Gospel for Asia (GFA) has raised support from western countries. Until recently there have not been disclosures of how this money was used on the mission field in Asia. 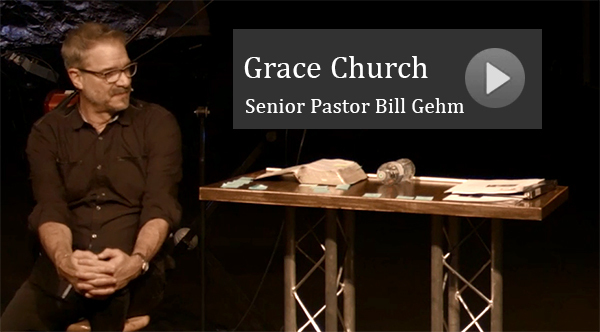 When the Evangelical Council for Financial Accountability (ECFA) recently reviewed how GFA was spending donations on the mission field, the ECFA removed GFA from their 36-year charter membership and standing. The purpose of DonorBeWise.com is to help individuals understand the issues surrounding GFA. Be wise stewards of the resources the Lord has blessed you with. Read through these reports and illustrations, weigh them for yourself. 2016 was a banner year for KP Yohannan and GFA, with a significant increase in funds. Hauling in approx. 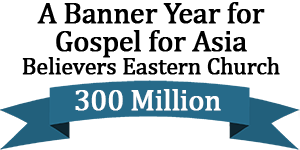 300 Million into India – from banks in places like Hong Kong. Other years never brought in quite that much. See the amazing increase in 2016! 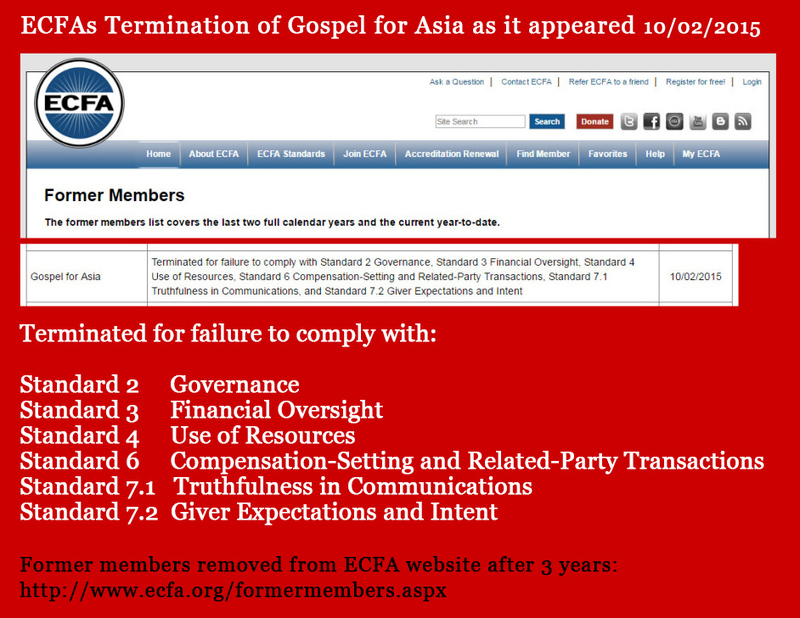 Included in the report, longtime GFA board member Gayle Erwin releases documents on missions agency’s troubled management. In this letter dated Sept. 2, 2015, exactly one month before the ECFA cut ties with GFA, 16 key concerns about the way GFA conducts its financial affairs are highlighted. 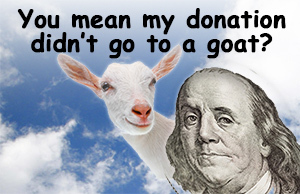 GFA promised donors their contributions would be used for specific purposes the donors themselves selected, the lawsuit notes, such as buying blankets or camels for poor families or motorbikes for missionaries, especially in regions of South Asia, where the ministry concentrates most of its work. GFA did not keep such promises, the lawsuit contends. Website of concerns as voiced by former GFA Staff. 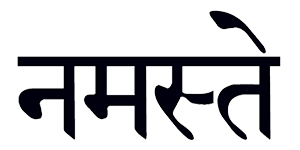 This website includes personal testimonies that reflect what some might call spiritually abusive practices. From The Daily Beast: Did This Preacher Rob From The Poor To Give To Himself? 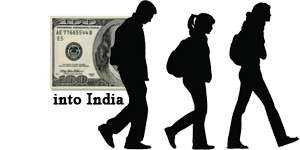 Why did Gospel For Asia send money to India in students’ backpacks? This is a charity review, a review, for supporters and potential supporters, of the Australian charity Gospel for Asia (Australia) Inc (GFAA). Head of Canadian arm of charity, Pat Emerick, named in U.S. class action suit; as a Nova Scotia pastor says he has filed complaints against the charity with the CRA and RCMP. Volunteers and donors use Great Nonprofits to search for ratings and reviews of nonprofits in their town. Read for yourself all the reviews on Great Nonprofits. Below is the most recent entry. After giving over 100,000 dollars to this ministry over the course of 11 years, I must retract everything I held dear about them. Please Google Warren Throckmorton’s blog to see what they have done to us – their big donors and volunteers. They have lied to Evangelicals to get their money. I was a volunteer for 9 years, and went to India with them, and have met KP twice. I ignored what I saw in India and wish I hadn’t. I saw the best of intentions. Well now I realize the road to hell is paved with good intentions. I regret all the friends I dragged into this ministry. They may have started off with the Gospel being the focus, but now it is a way for KP to build his empire.